Malaysia is a country filled with undetected surprises. There are many variations in the country of Malaysia that will definitely allow one to enjoy their visit to the country. Visitors will also obtain the opportunity to experience the busy and thrilling side of Malaysia as well, besides of having the chance to witness the peaceful side of Malaysia. If you are stopping in Selangor and wish to have more thrilling and electrifying experiences in the state, perhaps the Mines Wonderland would be the perfect vacation spot for you. 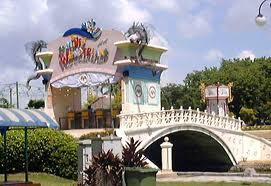 Mines Wonderland is one of the exciting theme parks in the state of Selangor. Here, you will find yourself being exposed with all sorts of enjoyments rides, including the water sports, amusement rides, and many more. The snow house located in Mines Wonderland is one of the enjoyment parks in should not miss. Although Malaysia does not have four seasons in a year, the snow house in the Mines Wonderland will offer the local people with the taste of winter in the other countries, while providing foreigners with a whole new winter experience in Malaysia. If you do not have any plans for the night, you can also consider staying in Mines Wonderland until late night. By staying in Mines Wonderland until late night, you will obtain the chance to witness the magnificent musical fountain the park. Here, the fountain will present to you a series of performance, along with beautiful music that will definitely make your night a magical one. Visiting the Mines Wonderland at night also gives you the opportunity to witness the spectacular light fantasy on the water, which huge aquatic animals appear in front of you with multicolored lights on their bodies. Both of these attractions in the Mines Wonderland will definitely add more meaningful and beautiful collections to your photo album. If you visit the theme park with your family, you can also use this chance to turn the vacation to an educational one for your children. The Mini Zoo in Mines Wonderland houses many species of animals found in Malaysia. In here, you will be able to see tigers roaming around freely. In the same time, you will also get to see the endangered species protected by Malaysia such as the White Bengal Tiger, which is a precious animal being heavily protected in Mines Wonderland. 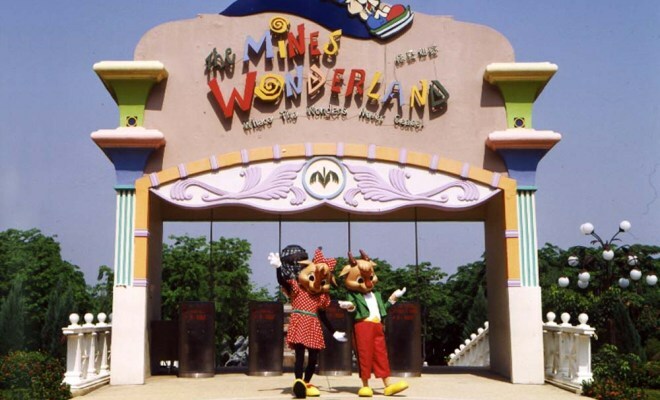 Also, visiting the Mines Wonderland also gives you some bonding sessions with your friends and family when you will be able to enjoy a picnic session on the fine beach located in the theme park. If you are craving for some adventure, you can also try out some of the water sports available in the theme park to ease your craves for more adventure and challenging activities. P.S, the review above is to provide visitors or tourists an introduction about the Mines Wonderland, the theme park has been closed since September 2011 with the exception of the Sightseeing Boat Cruise, Sunset Dinner Cruise, Massage Cruise, WaWa Splash tour, Musical Fountain show, Dining, Meeting and Entertainment Cruise which are still widely available for booking. Click here to make a booking!